Most people take better care of their cars (and other machines) than their bodies. We clean our cars, change the oil, use the right gas (usually), but we don’t clean the organs that are vital for our bodies to work! We are constantly bombarded with toxins, many of which the body is unable to excrete on its own. Routine detoxing helps the organs function at their optimum capacity, enabling us to stay healthier! 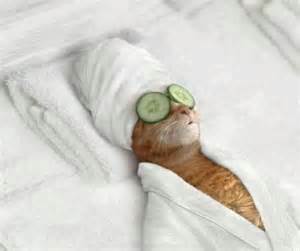 Our fur kids also need to regularly detox, cleaning out toxins and by products of metabolism. Given that the only transportation we have in this dimension is our bodies, seems to me we should be treating it VERY well! The magazine has wonderful articles for people as well! ← Your pet has been diagnosed with a cancer, what now?